Please select an option Black Silver Blue Yellow Pink White Gold Please select a color. Now shipping with an upgraded battery for 3X the recording time! Grab the Action Sports Camera for a great deal on a 1080P HD camera with a ton of options and accessories. The jitter-free, 12MP HD wide-angle lens is just thing to capture fast-paced action wherever you go: attach it to your arm, safety helmet, bike, or car. 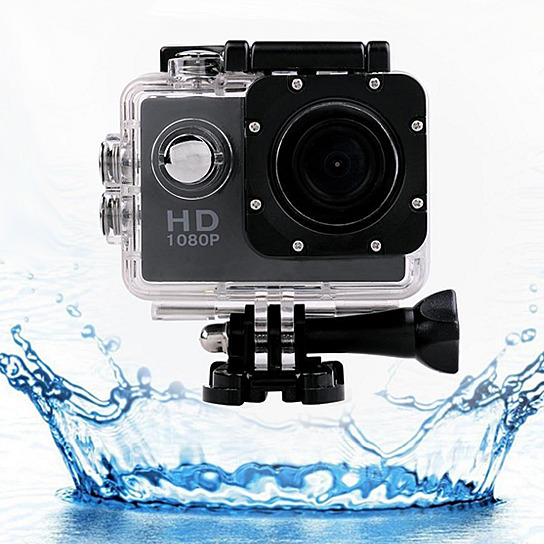 Take pictures or capture video up to 30ft under water! Please note this model does not feature WiFi connectivity to record via an app, and you must supply your own microSD card.